Let There Be LOVE is an alphabet collection, with uppercase letters standing at about 7.5" tall. These letters really allow you to make a grand statement! 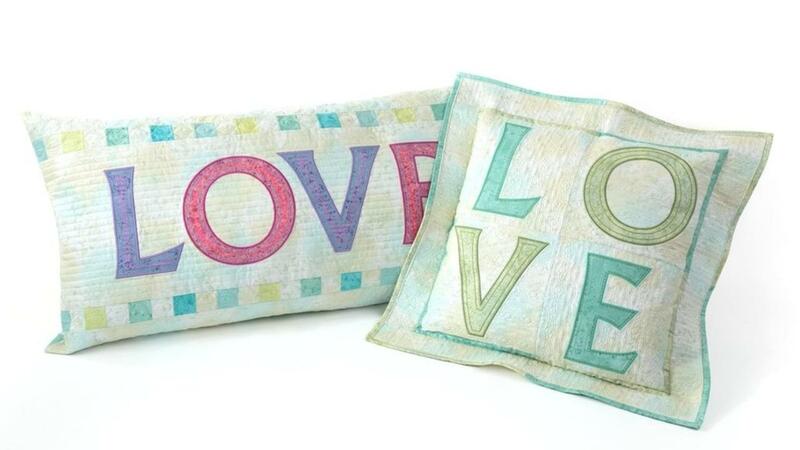 Let There Be LOVE letters are perfect for use on banners, quilts, jackets, pillows, tote bags... and much more. A hoop that is at least 200mm x 250mm is required.